A gift of generous proportions, and a grand gesture in every way. 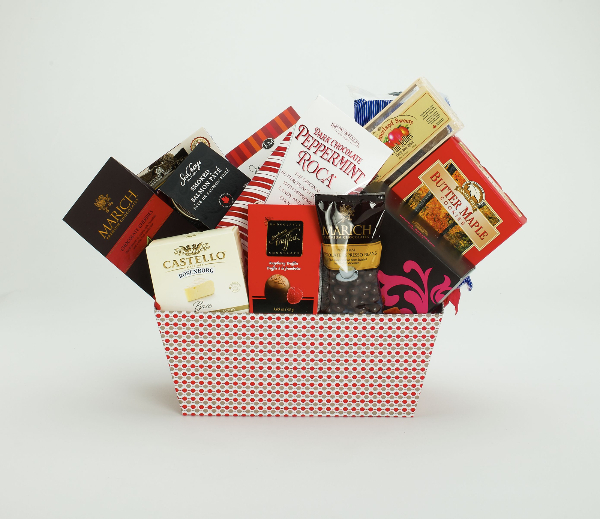 This overstuffed goodie basket, filled with red wine, appetizers and gourmet chocolates, is sure to make a great impression. 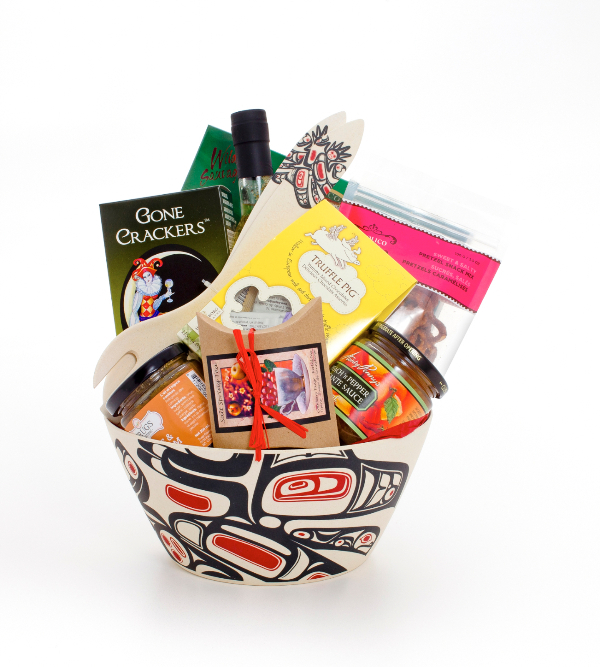 West Coast inspired gift basket, with Vancouver-local goodies in a beautiful First Nations potlatch bowl. 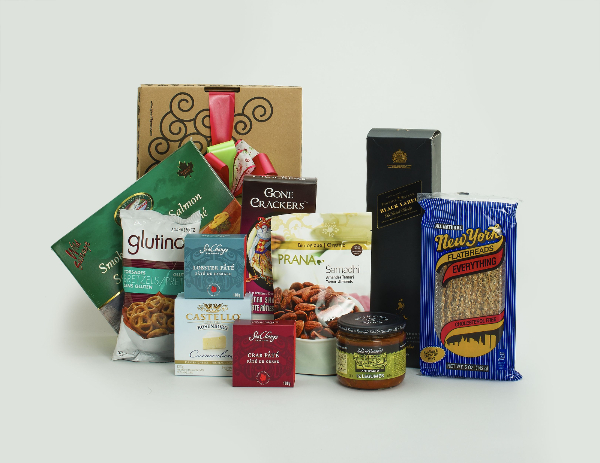 A sensational Snack perfect for sharing at any office or not. Create a superstar in the kitchen with all the essentials to cook up a delightful Westcoast breakfast. 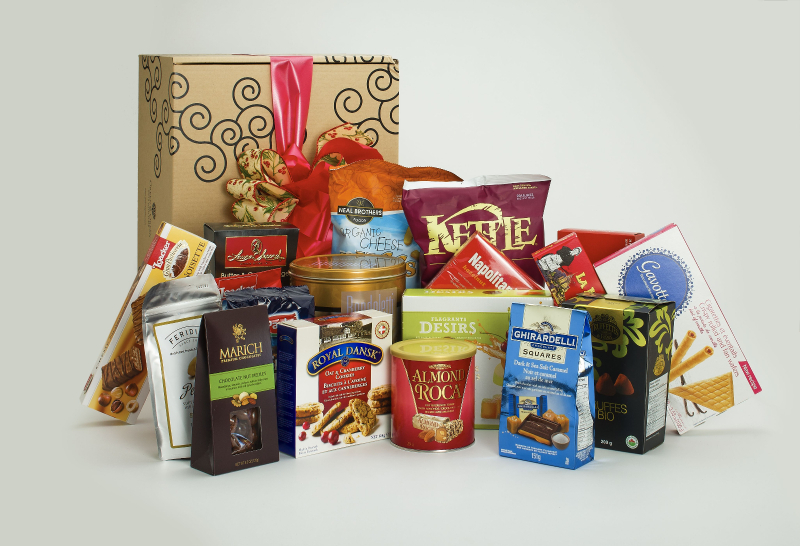 A gift brimming with a festive array of sweet and savory holiday favorites. 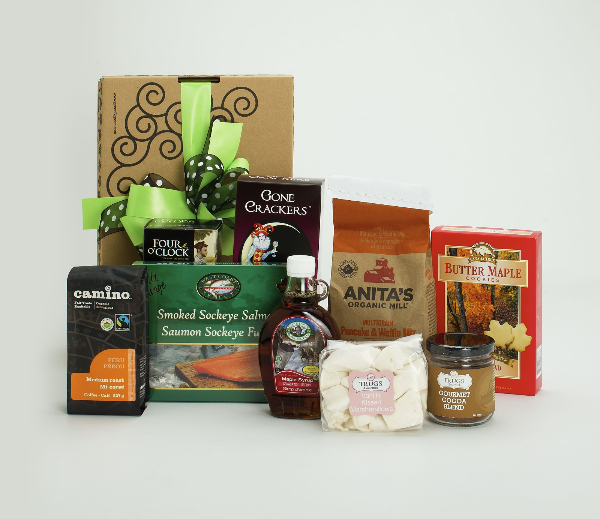 An exceptional gift, this princely presentation is chock-full of gourmet treasures. 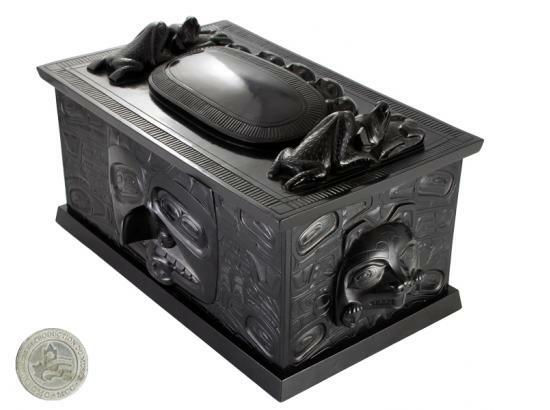 This stunning clam shell box is a reproduction from the Canadian Museum of Civilization. Clam Shell Box 7.5″ x 4″ x 5″. What are your holiday traditions? Regardless of whether you are an only child or from a huge family, was there something that your parents or grandparents did that delighted you? Is there something that you have now adopted or incorporated as your own tradition? Is there something even better that you started that is worth sharing? Please share it with us on ourFacebook page? We would love to hear them. We certainly cannot ignore the spirit of Christmas regardless of our heritage. As a Sikh married to a Canadian, Christmas is part of my adopted heritage. Some of my favorite memories are recalling the stories around the ornaments in our collection.They always bring a smile and delightful memories. 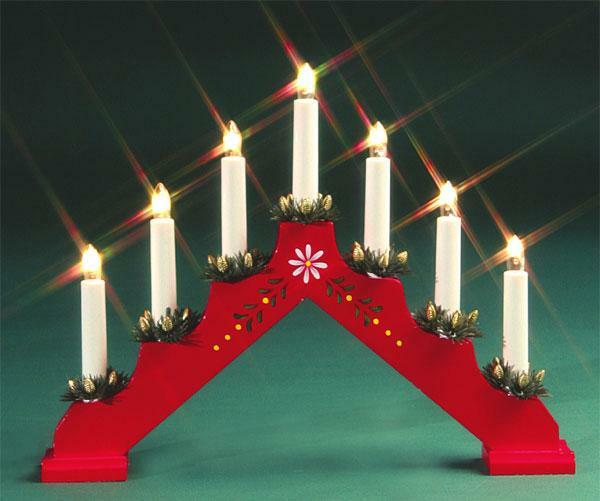 One of my favorite pieces of Holiday decoration is the Ljusstake, from Sweden. Better known as “The advent candle holder” is a mandatory triangular shaped electric candle holder which every Swede puts in their windows. Its purpose is to brighten the darkness of winter and invite the spirit and goodwill of Christmas. My sister and her Swedish husband presented me with one. It always reminds me of the wonderful Christmas that I had spent visiting my sister and her husband. And it is now adopted as our family tradition every Christmas. Christmas this year falls on Thursday. 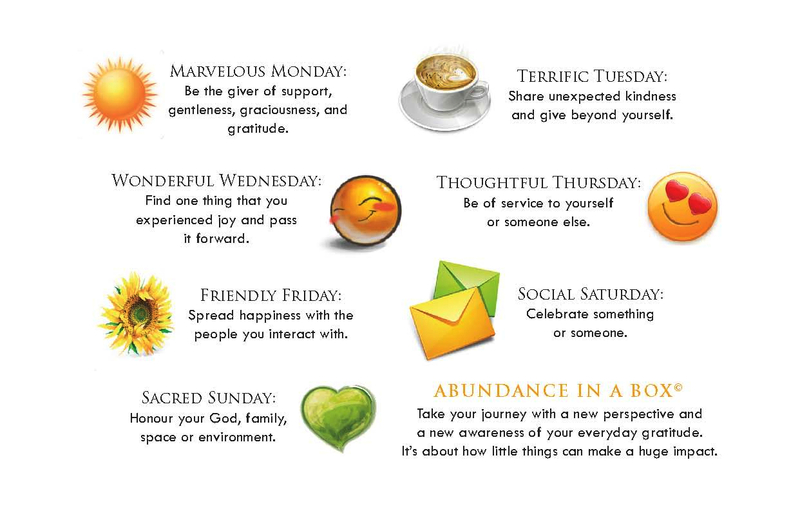 What could you adopt from Abundance in a Box‘s Thoughtful Thursday? 1) Be the greeter and welcome everyone into your home. Ensure that everyone who enters your home is greeted with a warm welcome from you and your family including Aunty Gladys who drives you nuts. 2) Offer a drink and ensure you are of service to others. 3) Serve others generously with your actions and thoughtfulness. 4) Offer to set the table and help clear away the dishes. Remember to govern yourself, and to give the gift of your polished presence. 5) Most importantly, be sure to acknowledge the chef and toast to good health and family cheer. It costs nothing to give a sincere compliment and your appreciation of your host’s efforts. My next Abundance in a Box© event is on January 21st, please note that it is limited seating and if you would like to attend please RSVP now. Still wondering what to send this holiday season? How can we help you to meet your delivery timelines? 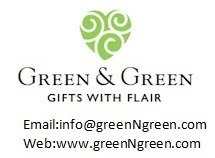 Green &Green has the expertise to select perfect gifts for your clients. 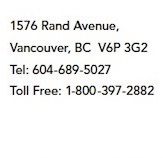 We have inside knowledge on the best shipping alternatives, and we know what products are restricted in which countries. 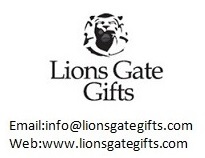 Please visit our website for unique, thoughtful gift ideas or give us a call at 604-689-5027 to plan your gift list. 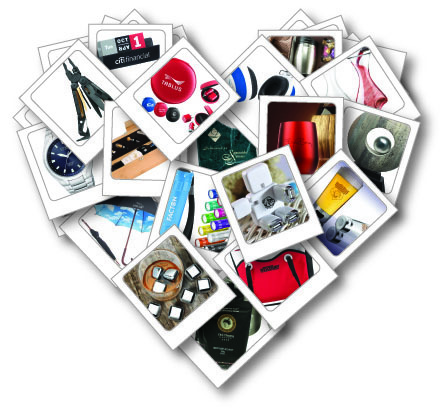 Our innovative branded merchandise helps you build relationships and communicate your brand and vision.